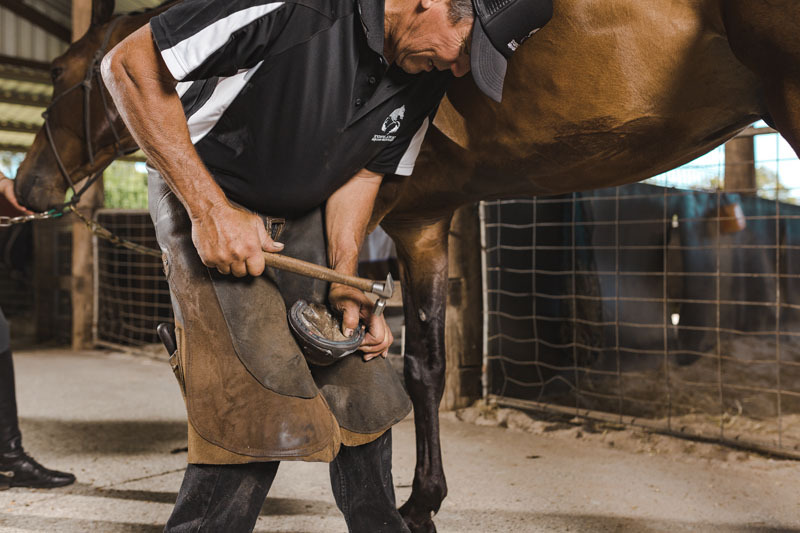 Farrier, Geoff Ahmat, has more than 30 years experience in correct hoof balancing, and trained in USA with Hall of Fame farrier, Dave Duckett. 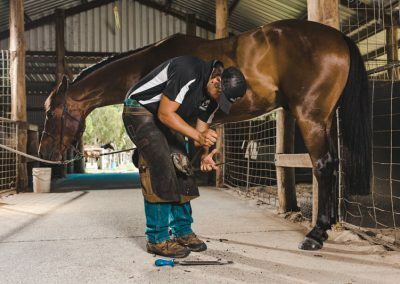 Dave who pioneered the revolutionary Four Point Trim, based around using anatomical landmarks that enable correct hoof balance to be achieved. 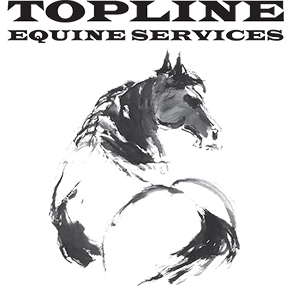 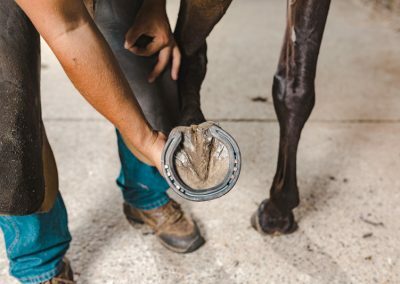 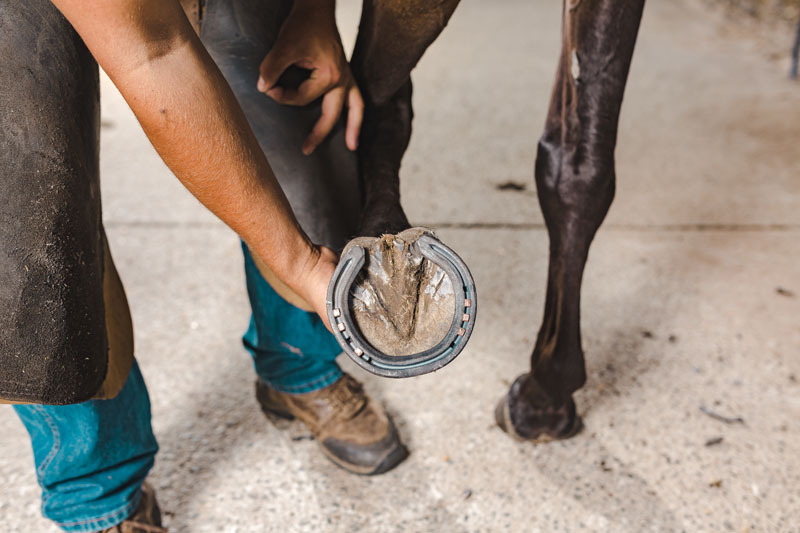 When applying shoes to a hoof prepared with a Four Point trim, the natural parameters of the equine barefoot are preserved, thus allowing the weight bearing forces to spiral up the leg as close as possible to the horses evolutionary blueprint. 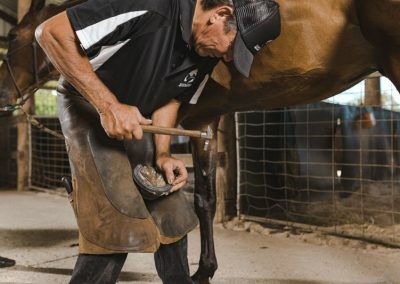 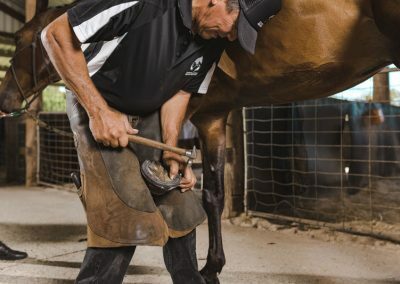 This style of Natural Balance shoeing enables the horse to not only maintain soundness, but also have maximum agility for athletic endeavours. Geoff also has a particular interest in therapeutic farriery and extensive experience with trimming and shoeing techniques required for hoof related problems and lameness. 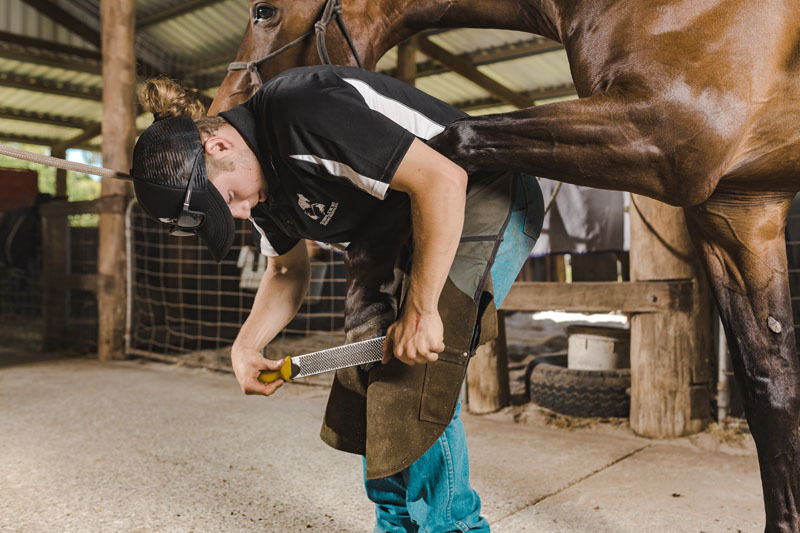 Geoff is assisted by his eldest son Harrison, who is a Sydney qualified Cert 3 Farrier, and highly skilled in forging. 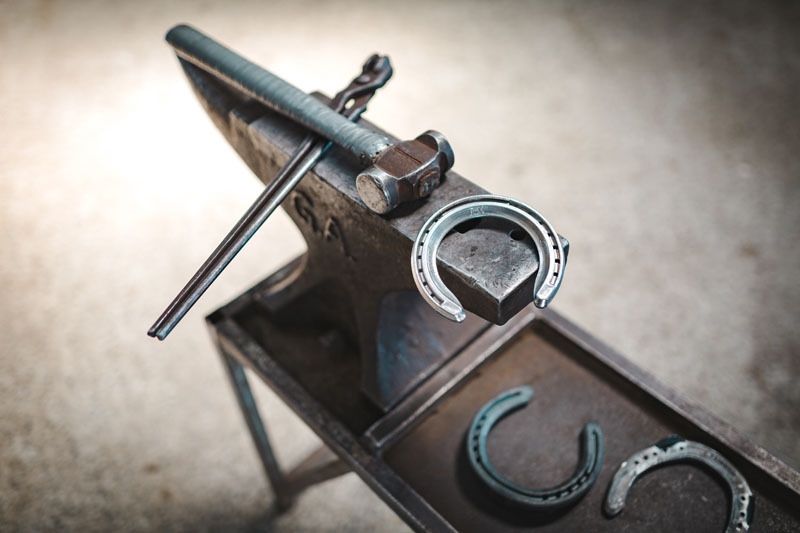 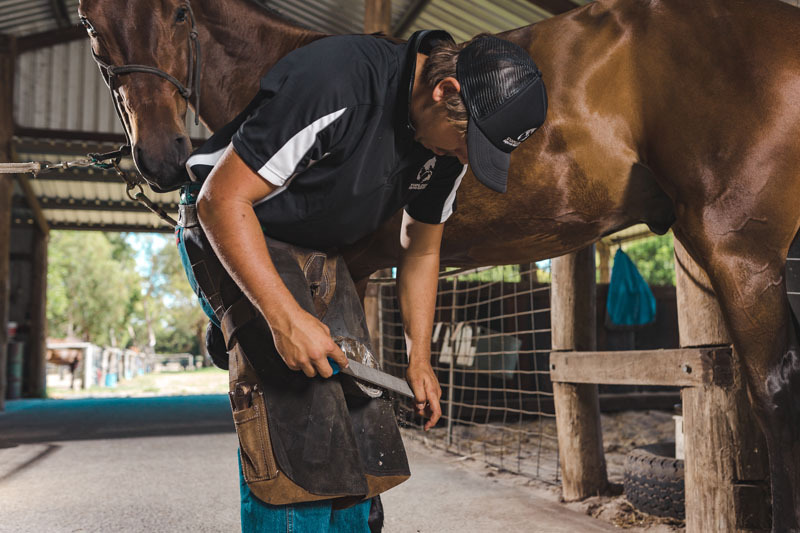 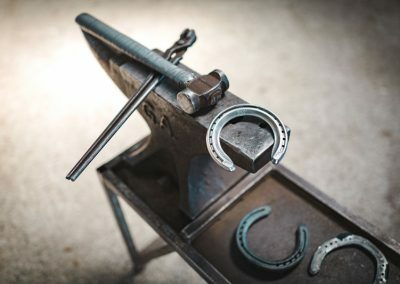 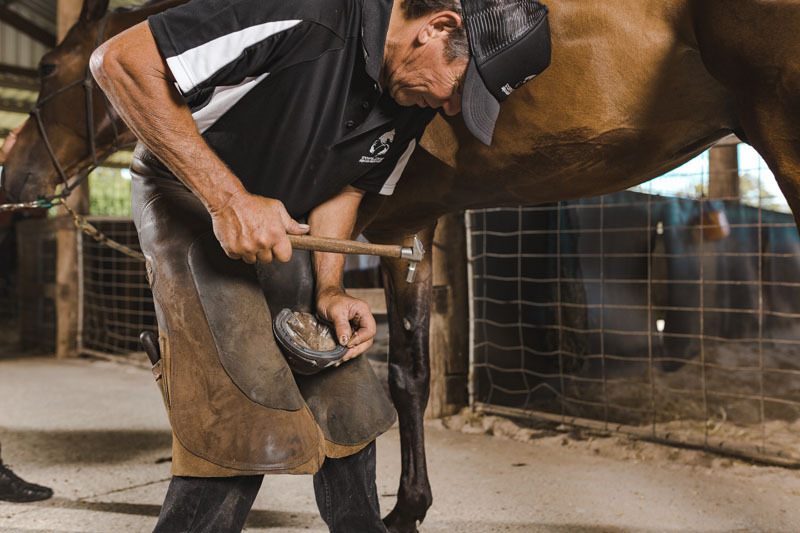 Shoes are shaped in the forge and cold fitted, which is fundamental to achieving a tight and biomechanically correct fit that synchronises with the Four Point trim used in hoof preparation. 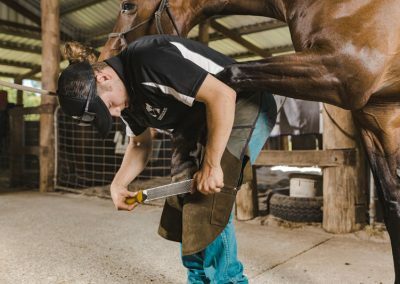 Specialised farriery services are available to liase with your vet .